H2O Just Add Water Is Real Mako Island In Australia Atau Fake As Make Up Island In Filmed ?? is real film on mako island or make up the name of mako island in australia ?? I believe it is fake. i looked on internet even on wikipedia there are no mako island. yes it is fake i believe. I don't have an answer, but if it's fake...that will be sad...hehe. yes, but there another name of island i don't know. probably nearby the island. i guess so. i notice they say referring to mean a "shark"
look at dictinary (merriam-webster and oxford) that mako is meaning type/kind of shark. in picture of shark(mako) in merriam-webster. that mean shark around on island as mako island you see on tv. No charlotte or Bella cause bella is only a character for season 3. I am such a fan but i belive it is not real. even though that would be soooo cool to have the moonpool. i think all the girls should go to college and maybe one of the guys will show up a little. actually mako island film in sea world in gold coast near brisbane in queensland, australia. there no island only just film in sea world just make up name the island. i think there is no mako but they use tasmania as the island because when they are looking for the treasure they point to tasmania as mako. It's fake they made the moon pool at the studieo and mako is not real they film it in merely island. samanthahannam look it up and CHILL OUT!!!!!!! If there WAS a mako you better believe I'd be packing my bags to go there! it is real i have been there!!!!!!!! ME TOO AND HOW MUCH?? I have been researching islands, and if there was ever going to be a real "mako" island I would say that the closest thing would be Coco island off Costa Rica. It is both tropical and volcanic and it is known for the huge population of sharks and sea life that surround it. Also it is protected and no one lives there except park rangers. To even go there you need special permission. Sounds like the perfect place to have a secret moon pool. I think it's fake but I RLY want the moonpool to be real. 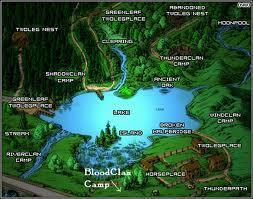 Hey, did anyone notice that there's also a "moonpool" in the warrior cats books after they moves to the lake? 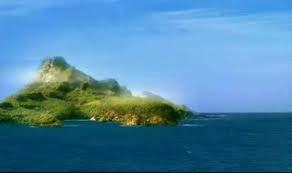 I BELEIVE THAT THERE IS A MAKO ISLAND !!!!!!!!!!!!!!!!! i think the moonpool is a movie set bilt at seaworld austrailia but the island is a real island not called maco island.